A veteran paladin tank on the Black Dragonflight server. I thought I'd go over here the different types of gear that are available for paladins and how we can put them together into different sets. In general, paladins who have been tanking for quite a while have collected several different sets of gear for different purposes, though a lot of new paladins might not know quite what they are talking about. I'll go through those different sets and the kinds of priorities we make for each of those sets of gear. Why armor? It doesn't help us dodge, but it makes us easier to heal. While dodge/defense/parry items are best for this kind of set, a little extra armor can help us recover more quickly those times we are hit. What I call the "dragon" set is a set that is used when facing high amounts of magical damage. Basically, it's about stacking hitpoints, hitpoint, hitpoints. Hitting the block cap is nice, but at the end of the day, you want to be able to absorb big breaths. The goal with this set is to be able to absorb huge breaths or spells so that your healers have time to heal you up. This was the big set during the tough fights of early Wrath like Malygos, Sartharion and Sapphiron. Now, it's useful for fights like Razorscale and Ignis. This threat serves as our threat set and our AoE tanking set. It's also nice for any trash that doesn't hit like a truck (there are a couple bits of trash that do; you'll get used to which ones). Basically, you want to use this where you're offtanking adds that don't have a skull over them, like adds on Deconstructor or, especially, Thorim. It's also great for fights where you spend a lot of your time dpsing. The goal is to maximize survivability on small hits by maximizing block value and then maximize threat by maximizing block value and strength. Putting together a good block set takes a lot of time and effort, as there is often only one suitable piece per slot. A lot of bosses and fights don't require a special set of gear. Sure, the boss might kill you in two hits, so dodge is good, or it might kill you in three hits, so some more stamina is helpful. You need to hold aggro, but it's not an insane dps race. The mixed set is a set I like to use for day-to-day use. Unless something hits exceptionally hard or exceptionally lightly or breathes on me, this set is the one I wear. It's good to be block capped in this set, to get rid of streaks. Dodge, Defense, Agility, Stamina and Armor are all valued at their full item value (1 dodge/def/agility=1.5 stamina=14 armor). Parry's a little lower, just because it doesn't scale as well. Hit and Strength are valued at about half, because threat is nice, but not overwhelmingly important right now. Those are my four sets that I use for various things. Of course, on occasion, I'll mix things up. For example, a particular boss might require me to generate almost no threat at all, like the second boss on the Iron Council, I'll value strength at 0. If another fight requires taunting to share a boss, I'll value hit more. And so forth. However, these are my standard outfits, and I hope you find them helpful. I thought I'd write a little post on one of my favourite tanking stats, agility. It's an odd stat to be a fan of, since no tanking gear really has any agility on it. However, we have a number of times where we have the option of using this stat, and knowing those options is worthwhile in itself. What also makes the stat so odd is that it is a "jack of all trades" stat. It gives a little bit of everything: avoidance, EH and threat. In this post, I'm going to discuss why and when you should consider deliberately gemming or enchanting for agility. The value of agility is easy to compare: sort of. What we can do is show how equivalent it is to dodge rating and how equivalent it is to armor. First, for dodge rating, you get 1% dodge for every 39.35 dodge rating. For agility, you get 1% dodge for every 52.08 agility. However, in almost every raid context, we'll have Kings. So this means we really get 1% dodge for every 47.35 agility. So, in terms of pure avoidance, 47.35 agility is worth 39.35 dodge. That means that 1 agility is worth 0.83 dodge rating, in terms of pure avoidance. Dodge obviously wins here, but avoidance isn't the only thing that agility gives us. It also gives us 2 armor. I won't include Kings here, because that would be cheating. Why? Toughness gives us 10% more armor from our items. Kings gives us 10% more armor from our agility. It's tied. So, I'll consider the value of agility as equal to 2 armor. The question now is, how do I figure out how valuable these two are together relative to my other options? Unfortunately, there is no answer. Dodge increases avoidance and armor increases EH. We need different things for different fights, so the value of these two together can only be compared on a fight-to-fight basis. However, what one can point out is that this actually implies that from an item budget perspective, agility is about equivalent to dodge+armor. In other words, if you're like me and dodge and armor are your two favourite tanking stats and you weigh them about equally, then agility is a reasonable option. How is this the case? So, assuming that you weight armor and dodge equivalently in your item budget, agility is worth about 97% of either armor or dodge. Now, you're probably reasonably thinking, "Yes, but 97% is worse than 100%, so didn't you just prove that agility is worse than the other two?". Yes and no. So far, I've only considered the survivability that agility gives. What I haven't considered is the threat. 52.08 agility also gives us 1% critical strike to our melee hits, which would mean 47.35 agility counting Kings. Compare this to Critical Strike rating which gives us 1% per 45.91. This includes our white damage, Hammer of the Righteous, Shield of Righteousness, Avenger's Shield and, I believe, Judgement. In fact, it affects everything that the Conviction talent affects with the exception of Exorcism. That's not quite all of our threat, since it doesn't include Seal of Corruption or Consecration, but it's certainly most of it. Most of us would never consider gemming for Critical Strike. However, this doesn't mean we wouldn't sacrifice 3 dodge rating for 100 critical strike rating. So long as one gives any reasonable weight at all to critical strike rating, from a purely item budget perspective, agility is a huge bargain. It gives 0.83 dodge rating, 2 armor and 0.97 critical strike rating (not counting Exorcism). Agility is therefore a great "well-rounded" stat, giving us a huge item-budget bargain. Where it would be most useful is in a piece of gear that is used in multiple sets. For example, let's say that you use the same leggings for your avoidance set and your EH set. Can't decide how to gem it? Try agility. It does a little bit of both and gives some extra threat to boot. It's especially nice for those red sockets. Either toss in a delicate scarlet ruby or a shifting twilight opal and get the best bargain for your item budget. +20 agility to gloves (people forget about this one). Mongoose to weapon (which gives a little more agility on average than +26 agility). Agility is a great, well-rounded tanking stat, but it unfortunately isn't found on much of our gear. I hope I've done a good job of showing its utility and how it's one of the best item budget bargains around. 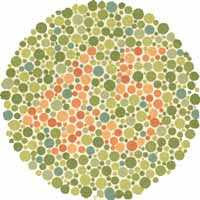 Colourblindness is a weird disability to have. It's not very serious and it doesn't affect our lives very much. For a lot of people, it goes completely undiagnosed. It tends to come up in very specific circumstances: matching clothes, noticing lipstick and so forth. There are a few things that a colourblind person can't do, like be a police officer or a commercial pilot. However, by and large, being colourblind doesn't make you feel disabled. Most of the time you forget it's even there. A lot of people don't understand how colourblindness works, so I'll explain here. It affects about four percent of men. The reason it affects mostly men is that it is a recessive gene on the x-chromosome. Since women have two x-chromosomes, unless both carry the gene, they won't manifest it. However, since men have only one, there is nothing to beat out the recessive defect. When we see, we use two things, rods and cones. We use rods to tell how bright something is, its "value". We use cones to tell what colour something is, its "hue". There are three types of cones, red, green and blue. The vast majority of colourblind people (over 98%) have defective green cones. Such defective cones tend to perceive green as more red or grey. In order to correct for this, our brains kick in and "guess" what the actual colour of things are. As a result, we tend to mix up red, green and grey of the same value. We can even see red as green, because our brain believes our correct perception of red is incorrect and therefore "corrects" it for us. In general, this correction will either be to the colours around it (which is why it is hard to see red text on green background) or to what something normally is (which is why we see fall leaves as green). The reason I bring all of this up in a Warcraft blog is because, like many games, World of Warcraft occasionally makes things unnecessarily difficult for colourblind players. Specifically, when something red, green or grey is put up against a red, green or grey background of the same value, it can be very hard to see or even completely invisible. The worst example, ever, was the Death and Decay put out by Rage Winterchill. It was completely invisible. If I was healing that fight, I would just run in a random direction until my DBM warning went away. If I was tanking, I would just stand in it. Either way, the faint red mist on the green grass background was completely invisible to me. I actually believed it was invisible at first, until my wife told me that it was red. The current issue, though, for me is the rockets on Mimiron. A little red image appears on the grey background, and for the first second or two, they are of exactly the same value. The little symbol then pulses, at which point the value changed, and I can see it, although it is very difficult. However, I end up having about half the time to get out of the rocket fire as anyone else and only if I squint. As someone who has played this game for years and is one of the core tanks for my guild, having these occasional fights where colourblindness is devastating is very frustrating. It's not hard to work around these from a design perspective. Designers just need to be careful not to put red, green or grey visual cues on red, green or grey backgrounds of the same value. It's something more and more designers are doing, since 4% of a male customer base is actually quite substantial. For example, given the number of men who play WoW, there is likely a colourblind person in every 25-man raid. Ironically, in 3.1, the very patch in which a colourblind patch was put into place (which just puts text on things like epic/rare items), they also put in another fight where colourblindness is a real problem. Several other colourblind players have commented that they have needed to pull out of the fight because they just can't survive the rockets. I don't think I'll need to go that far. For the next few days, I'm going to be looking for some software to change up the colours on my screen. Otherwise, I'll play in negative, just for Mimiron, or have my wife watch for the circles. However, it's very disappointing to see that, while Blizzard is obviously trying to accommodate colourblind players, they really don't know how. It's not text on epic items we need, but not to have fights that rely on red vs green vs grey cues of the same value. I honestly think they don't know this, but I can't figure out how to tell them. I've put up a thread on the suggestions forum here. Please support the thread if you have the time. You'll notice I skipped a couple of bosses between Deconstructor and Kologarn. That isn't a co-incidence. Largely, the tanking assignments on those bosses are so straightforward that a guide wouldn't really help very much. I may go back to them later, but for now I want to turn to the somewhat tricky boss, Kologarn. He's the bridge between the Antechamber and the Shattered Walkway in Ulduar and he's a lot of fun. One of the best parts about this fight is that it gives us a real chance to use our block sets that otherwise would collect dust. My tanking role on this boss is to tank the pack of earth elementals that spawn when his arm dies, but it's a much trickier fight than just that. There are several different phases and lots of ways that you can accidentally wipe the raid if you're not careful, so I'll go through all of those in turn. First, there are a couple things to note about the mechanics of the fight. Kologarn starts with two "hands" a right hand and a left hand. The right hand is really deadly, and we kill it quickly. When that hand dies, it spawns a bunch of earth elementals. Also, he occasionally targets someone in the raid with eye beams that will follow that person, killing everyone in his or her path. This fight requires a combination of dps and AoE tanking. At the beginning of the fight, our goal is to help kill the right arm as quickly as possible. Fortunately, adds can't spawn when the arm is out, so we don't need to worry about any conflict there. I pop wings and help chew threw the arm as fast as I possibly can. The arm will periodically grab someone, even you, but there's really nothing you can do about that. It's a lot like the cauldron on Ignis. So, here we do what we do on Deconstructor, burn, burn. There's no real worry about stealing aggro as the arm has no aggro table. When the arm dies is when things become tricky. He immediately spawns a bunch of "Rubble" which have point blank AoE attacks. I need to pick these up and fast. Since I know exactly where the rubbles will spawn, I have a Consecration waiting for them. Then I toss a shield and a glyphed Hammer of the Righteous. This usually cements aggro on them. If I missed one, I grab it with Exorcism or Hand of Reckoning. Do not use Righteous Defense. If you taunt an add targetting the main tanks, you will taunt Kologarn, he will Petrifying Breath and the entire raid will die. The trick then is to pull them immediately away from the raid, because those AoE attacks will kill anyone standing too close. 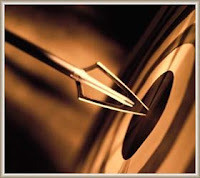 I then quietly go into a corner and toss out my usual threat cycle, prioritizing multi-target attacks. The mobs tend to die reasonably quickly, and I go dps the boss for a little bit until the arm respawns. The really tricky part is if I get eyebeamed when I'm AoE tanking. This has only happened twice, but it can be absolutely deadly when it happens. Don't panic and be prepared. What I have written below is what I did the second time this happened. The first time, well...we won't mention that. When this happens, you should be on the right side of the boss tanking a bunch of adds. If you're the target of the eyebeam, it will be very obvious, since you're entirely by yourself. If the eyebeams come after you, you are the target. The big issue is that not only am I dragging the eyebeam behind me, I am dragging five or six adds doing PBAoEs. I really don't want to drag those through the raid. Since there is some space behind me, I turn and run away from the boss to his right along the edge of the chasm. Since I'm turning my back in an AoE situation, I pop Divine Protection here. This is good practice in general: if you need to turn your back on an attacking enemy, pop Divine Protection. I go about ten yards, and them start along the back wall toward the center of the room, planning to kite the eyebeams back and forth along the back wall. I also call out in vent, "It's on me. I'm at the back of the room. Stay back". Fortunately, the raid is used to staying away since the back of the room is where we usually kite the eye beams. Hopefully at this point, the dps are paying attention and are still AoEing down the mobs. The time I did this properly, the mobs died a little before the eyebeam wore off. That's really the only tricky part, and there's a good chance it won't happen. Other than that, this fight is fairly straightforward. 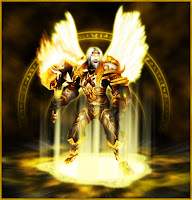 My favourite graphic in the game is the wings that appear on our back when we cast Avenging Wrath. It's that wonderful moment where we say, "I'm sorry, did you think I was some annoying little glowworm? I think you're making some sort of mistake here. I carry with me the celestial powers of an angel of Light! Place your little neck where I can see it and I'll behead you swiftly." As everyone knows, angel's wings are made of fire, and if you think that makes it hard to fly, just try and make fire go downwards. I'd say at least fifty-two point six percent of my reason for becoming a paladin rather than a warrior was that warriors can't grow wings. However, aside from making us look positively awesome, Avenging Wrath presents quite a dilemma for the protection paladin. For one thing, like with any other class, we need to decide when to "blow our cooldowns". On the other hand, however, because of ret paladins abusing it, we can no longer use Avenging Wrath within thirty seconds of Divine Protection. Now, if you're a big scaredy cat like I usually am, this means that you might be tempted not to use Avenging Wrath for fear that you'll use it right when you needed your 50% damage reduction most. Much of our role involves staying alive. In fact, unlike other classes, when we die, it's often an automatic wipe. Wings are cool, but are they worth wiping the raid. On the pull. I find that if I'm going to die, it will be on the pull. However, I pop my trinkets right at the beginning for a little extra avoidance, and, in general, if I die here, it's because the healers have their assignments crossed or their cat is sitting on their keyboard. The extra 50% usually won't help. However, the extra 20% threat can be the difference between a miss wiping the raid and holding aggro. Plus, and this sounds strange, but having the paladin in front of you suddenly grow wings and throw a glowing shield tends to get people's attention. The extra second that I gain by distracting a healer from his Doritos can save a life here, and not necessarily mine. When dpsing. Yes, it does happen. No, really. There are a lot of fights, Deconstructor being the biggest example, where I spend some time dpsing the boss. These tend to be fights that are dps races where I'm offtanking something, but not necessarily for the whole fight. In these cases, I'll pop wings when I can. I usually miss the bloodlusts at times like this, so it usually turns out that I just throw it up right away. Bloodlust. Bloodlust is tricky. Yes, it is true that Bloodlust mainly gives us extra white damage, but have you ever noticed that all of a sudden your threat cycle gets all wonky? That's not a coincidence. Your global cooldown goes down and that means we get an extra instant attack per cycle. In fact, we get a little less than two, so if you're feeling lucky, squeeze something in there. Now we've got more choices of what to put in there. We can throw in an Exorcism or an Avenging Shield or a Hammer of Wrath or two. The extra damage isn't from the white damage - it's from the extra attack. Be ready to squeeze in the extra attacks in there. Otherwise, though, I'm afraid I don't get a chance to use my wings. Losing access to Divine Protection when I might really need it simply isn't worth it unless I'm in some danger of losing threat or in a really tough dps race. If I die, everyone else dies, and if I get low, Divine Protection gives my healers the time to catch up. There's rarely a situation aside from the three listed about where I can justify losing access to Divine Protection for 20% extra threat. However, I look forward to all the opportunities I can find to remind everyone that I have the power of a celestial warrior. Using Avenging Wrath as a protection paladin is a tricky business, but with the proper timing, it can become one of the staples of the awesome amount of burst threat we can do and the, well, pure awesomeness that is being a paladin. Perhaps the position for which I have generated the most flack on maintankadin is my support of hit rating for protection paladins. Along with one or two other people, I am one of the biggest proponents of hit rating for a protection paladin, and I have raised much ire for holding this position. The topic is very interesting, as it covers a number of buried disputes about the nature of tanking. Hit rating for paladin tanks is our second best threat stat, after strength. It also has no mitigation value of any kind. It is useful, however, for two things: burst threat and pickups. Every skill we have except Seal of Vengeance uses hit (including Consecration, oddly enough). On average, strength gives me more threat, and over time, it will give me more threat. However, the reliability of how much threat I can build up right away is affected by hit rating more than any other statistic. A whiff or two early on in the fight creates the real possibility of losing aggro to an impatient dps who gets off a lucky crit or two. This happens more often than we generally are willing to admit, and it is usually perceived as the dps's fault (which it is). However, if I can prevent a wipe, who cares whose fault the wipe would have been? Both of our taunts, Righteous Defense and Hand of Reckoning, as well as both of our ranged pick-up skills, Exorcism and Avenger's Shield, rely on hit rating. I am constantly picking up adds throughout a fight and there are a number of fights, like Razorscale or Hodir, that depend on perfect taunts. Other fights, like Auriaya, require me to threat adds with nasty damage increasing bonuses out of packs. In fact, the only fight in Ulduar I have seen that doesn't require me to pick up something or taunt something is Flame Leviathan. The arguments against hit rating tend to come in three sorts: it isn't our job, it's just opinion and it's useless. All of these are interesting, because they aren't really about +hit rating directly, but reflect deeper disagreements about tanking as a whole. This argument is summed up with something like: "It isn't our job. Our job is to maximize survivability and threat. Hit is worse at both than other comparable stats. Therefore, it is a bad stat"
The problem with this argument is that it makes some very odd assumptions about what our "job" is. The general mindset here is that what a "tank" does is stand perfectly still and tank big bad meanies using an ideal threat rotation. This is true for some fights, but for most fights it isn't true at all. Even main tanks need to share bosses through taunting (there are a few fights like this in Ulduar, like Hodir, Razorscale and Thorim, just off the top of my head). Maximizing average threat is also misplaced. It is only relevant in cases where we are threat capped, which are few and far between. Threat capping hasn't been an issue since 3.0, so trying to maximize threat is like trying to maximize overhealing. Our "job" is whatever job we have in a given fight, which may even include things like dpsing when we aren't tanking (like of Deconstructor) and, usually, includes picking stuff up and saving the squishies. There is no "real" job for us. This argument is the result of a really simplistic epistemology that is all over internet forums: if it isn't measurable, it's just opinion. There's certainly some utility to this view for settling and focusing disputes, but it's simplistic, self-refuting and misleading for a number of reasons. It's simplistic, because when taken literally, it would mean that statements like, "Bill Clinton was president of the United States" is opinion. It's self-refuting, because the view that only measurable things are facts and everything else is mere opinion is, by its own criteria, mere opinion. I'm most interested though in how it is misleading, especially in the context of tanking. "Measurable" doesn't mean "easily measurable" or "measured". EH, "time to live", threat and avoidance are easily measurable. There is a certain comfort to sticking with the "facts". However, dead squishies, wipes from resisted taunts and overenthusiastic hunters are also measurable, they are just not easily measurable, nor has anyone developed a program to measure them. I'm sure, actually, that some of the world's top guilds keep track of exactly this sort of thing, though they have probably not collated any of their data. Even if one accepted that because the benefits of hit rating have not been measured, they are just opinion, one cannot therefore conclude that it is worthless. If the belief that hit rating is useful for tanking is just opinion, so is the belief that it is worthless. There is no default practical conclusion in the face of a lack of evidence: if I believe that a chest might have gold in it, I open it; if I believe it might be boobie-trapped, I don't. Our practical judgements are a constant juggling and guessing in the face of lack of evidence. However, pretending that because something's value has not been accurately weighed it is therefore worthless represents some serious confusion about the conclusions one can draw from the fact-opinion distinction (even if one were to accept it). This is the view I take most seriously and the reason why, though I have quite a bit of hit on my gear, I haven't gone out of my way to be threat capped. The argument works something like this: "There's no circimstances in which I really need hit rating, even for snap aggro. I don't lose aggro when tanking, even early on, and I have backup taunts when I need them". I do take this view very seriously, but I think it is mistaken in the end. There are two parts for it, the snap aggro part and the pickup parts. For the snap aggro part, I will note that it can and does happen that impatient and "lucky"-critting dps pull something right at the beginning of a fight. It is usually a hunter, but I've seen mages do it. I have a tendency myself to not worry about something because it isn't my fault. However, when I started paying more attention, I noticed this was definitely happening. The second part is the backup view. This is true in some contexts, and since both Hand of Reckoning and Righteous Defense are not on the global cooldown, they can be considered true backups when they are useable. However, since Naxxramas, almost all bosses are now tauntable. This means Righteous Defense is just too dangerous to use in a number of fights, including Auriaya, for example. It why they gave us Hand of Reckoning in the first place. Second, in a fight like Thorim, I am using both of these taunts every time they come off the GCD. I don't have "extra" taunts to waste on misses. Exorcism and Avenger's Shield aren't really backups, either, since they may not actually pick up aggro and they are on the GCD. So, I believe in both cases where hit rating is said not to really be useful, it is. All in all, then, there's really a lot of content to the debate about hit rating, including some rather deep issues about the nature of tanking and even of knowledge. I've presented here the most comprehensive explanation I've done of my position. I hope you've enjoyed. This is about how I managed to keep my jewelcrafting business afloat and even highly successful in the face of a...highly enthusiastic other player. This other player had the amazing ability to be online nearly 24 hours per day in Orgrimmar, cornering the jewelcrafting market. If you put up an auction, he would immediately take his down and repost it for a silver less. I have no idea where he got such stamina. He must have had endless energy and time (which must be the explanation, correct?). However, what happened is that it became impossible to sell any jewels unless you were him. You simply couldn't have the lowest priced auction for more than a couple of minutes before he undercut by a silver. This drove everyone else out of business. However, I sat back and thought about it: how can I keep myself going in the face of this enthusiasm? I'm a casual player who only really does crafting every day or two. I don't have time to stand here by the auction house reposting my auctions for hours. So, brainstorming I thought to myself, "Wait a second, he's only undercutting by a silver, right? What if I can offer more than that, but outside the aution house?". So, I came up with the solution: rebates! I'll offer a rebate to anyone who buys my gems in the mail. Not everyone will know about my rebates, so he can't defeat this strategy using his...enthusiasm. I'll offer 10% back by mail. People who know about the rebate will buy my gems because he's only undercutting me by a silver, anyway. But, he can't start undercutting me by more than 10% because then he'd lose all that money on the people who don't know about my rebate. So, he's stuck and I'll sell my gems. 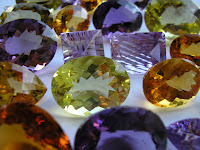 "Eanin's Gem Emporium™ is now offering a 10% REBATE on all rare cut gems! That's right! Buy a rare cut gem (including metas) from Eanin on the AH and you'll receive 10% GOLD BACK by mail! At Eanin's, the most important sparkle is in your smile!" The goal was to be funny and direct. Of course, I was flamed immediately in /trade chat, largely because it is filled with angry sociopaths. It was all right. I didn't really expect people to believe it at first. However, then I started sending out the rebates. It was a trickle at first, because it was just those I could slip past our enthusiastic friend. However, as it went on, I picked up many customers. People started defending me in trade chat and sending me "thank you" e-mails. One day, I remember after some bitter loner attacked me in trade chat, someone replied, "No, he pays them. He's a good businessman". That made me really proud. Within a couple of weeks, I had a thriving jewelcrafting business, while everyone else was bankrupt. Because Mr. Enthusiasm had basically created a monopoly, prices were very high, and 10% less of monopoly prices was actually quite a bit of gold. I managed to turn this situation into one that actually made quite a bit of money, developed brand recognition and a reputation as a good businessman on the server. When our enthusiastic friend suddenly and completely disappeared without a trace (I suppose because he found some other hobby), I cancelled the rebate, letting my customers know both on the forums and in /trade. While I enjoyed the recognition, at the end of the day, the rebate was a business decision. However, it remains one of my proudest moments as an online businessman and a good example of how to take a tough business environment and turn it into profit.